← Olympic Agenda 2020: To bid, or not to bid, that is the question! With this blog post, we continue the blog series on Turkish match-fixing cases and our attempt to map the still unchartered waters of the CAS’s match-fixing jurisprudence. The first blog post addressed two issues related to the substance of match-fixing disputes, namely the legal characterization of the match-fixing related measure of ineligibility under Article 2.08 of the UEL Regulations as administrative or disciplinary measure and the scope of application of Article 2.08. In addition, The Turkish cases have raised procedural and evidentiary issues that need to be dealt with in the framework of match-fixing disputes. The CAS panels have drawn a clear line between substantial and procedural matters. In this light, the Eskişehirspor panel declared the nature of Article 2.08 UEL Regulations to be administrative and rejected the application of UEFA Disciplinary Regulations to the substance. Nonetheless, it upheld that disciplinary rules and standards still apply to the procedure. This conclusion, however, can be considered puzzling in that disciplinary rules apply to the procedural matters arising by a pure administrative measure. To this extent, and despite the bifurcation of different applicable rules into substantial and procedural matters, the credibility of the qualification of Article 2.08 as administrative seems to be undermined. And here a question arises: How can the application of rules of different nature to substantial and procedural matters in an identical match-fixing dispute be explained? This paradoxical approach can be justified by the conflicting duty of the CAS in match-fixing disputes. The CAS aims to strike the right balance between due process concerns, on the one hand, and the urge to fight against match-fixing effectively, on the other hand. In this sense, procedural matters have to be examined in conjunction with substantial issues raised in match-fixing disputes. Having as a starting point, therefore, the fundamental distinction between administrative and disciplinary measures, this blogpost will proceed with an analysis of the standard of proof applicable in match-fixing disputes (1) and of the admissibility of evidence (2). Standard of proof in Match-Fixing disputes: To be ‘comfortable’ or not to be? It has been argued that in international arbitration the standard of proof has an impact on the form and not on the substance of a dispute. However, in cases of corruption and particularly in match-fixing disputes, the determination of the standard of proof is significant, since the application of a different standard may lead the CAS to adopt a different substantive conclusion on the merits. 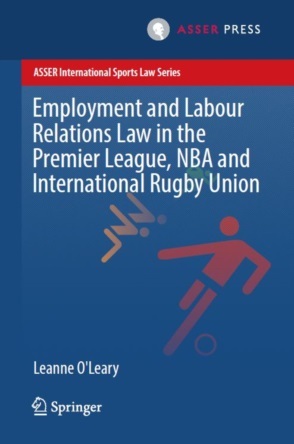 Considering, also, the severity of the ineligibility sanction imposed to a club for being involved in an act or an attempt of match-fixing, it is important to assess the emerging trends of the CAS jurisprudence in setting this standard. The CAS Code does not define the applicable standard of proof in CAS proceedings. As a result, sports-governing bodies may explicitly specify a pre-determined standard of proof in their regulations. Indeed, in the Bin Hammam, Köllerer and Adamu cases, the CAS recognized the autonomy of a sports federation in determining the applicable standard of proof by acknowledging that ‘in the absence of any overarching regulation, each association can decide for itself which standard of proof to apply’. Specifically, in the context of UEFA match-fixing proceedings, UEFA has embedded the standard of ‘comfortable satisfaction’ as the applicable standard of proof in Articles 2.05 of the UEFA Champions League (UCL) Regulations and 2.08 of the UEFA Europa League (UEL) Regulations. However, even in cases where the standard of proof is enshrined in the applicable regulations, the CAS is not impeded to deviate from this standard. In any case, it is interesting to analyse the reasoning of the panels in coming to the conclusion that the comfortable satisfaction standard or another standard of proof is applicable. The first time the CAS was called to adjudicate on the standard of proof to be used in match-fixing disputes was in the Pobeda case. Since then, in a number of awards, including the most recent example of the Turkish cases, the CAS has attempted to establish certain general principles on the standard of proof to be applied in match-fixing cases. However, this has not been done in an entirely consistent way. In the Fenerbahçe case, the Panel determined the comfortable satisfaction as the standard applicable in the event of a maximum one year period of ineligibility to participate in the UEFA CL or UEFA EL, namely in case of application of Articles 2.05 UCL or 2.08 UEL. Nevertheless, to determine the standard of proof when Articles 2.06 UCL or 2.09 UEL apply, in absence of a standard explicitly provided, the CAS referred to Swiss civil law cases and to the CAS jurisprudence. In fact, the panel observed a contradiction. While according to Swiss civil law cases the standard to be applied is the ‘beyond reasonable doubt’, the CAS jurisprudence, making an analogy to doping cases, has found that the applicable standard of proof in match-fixing cases should be ‘comfortable satisfaction’. The CAS jurisprudence has justified this departure from the commonly applicable standard of proof in civil cases to the reduced standard of comfortable satisfaction by referring to the ‘restricted investigative powers of sports governing bodies’and to the fact that in corruption cases the parties involved seek evasive means to escape from sanction. The Fenerbahçe panel acknowledged the difficulties of proving an occurrence of match-fixing in the case at hand, since UEFA had access to circumstantial evidence only and concluded that the reduced standard of comfortable satisfaction had to be applied. A similar approach was adopted in the Besiktas case. Although Article 2.08 UEL Regulations explicitly provided for the standard of comfortable satisfaction, the panel referred extensively to the match-fixing related CAS jurisprudence and particularly to the Metalist case in order to justify the application of the comfortable satisfaction standard. Interestingly enough, although the Appellant claimed that in this case UEFA and the CAS had access to the broad investigatory powers of the Turkish authorities and therefore the beyond any reasonable doubt standard should have applied, the Besiktas panel declared that the pure civil character of the CAS proceedings excludes per se the application of a standard of proof applicable in criminal proceedings. Finally, the Eskişehirspor panel confirmed the application of the comfortable satisfaction standard, which is in line with the existing CAS jurisprudence. By contrast to the Besiktas case, the Eskişehirspor panel relied on the wording itself of Article 2.08 and then went a step further by elaborating the meaning of the comfortable satisfaction standard. Specifically, the comfortable satisfaction standard was defined as a ‘kind of sliding scale’ based on the seriousness of the allegation. In practice this means that ‘the more serious the allegation and its consequences, the higher certainty the Panel would require to be comfortable satisfied’. The comfortable satisfaction standard, therefore, requires that the offence be demonstrated to a higher level than a mere balance of probability but less than proof beyond a reasonable doubt bearing in mind the seriousness of the allegation which is being made. In this light, considering the serious repercussions of being found guilty of match-fixing and particularly the sizeable economic consequences due to missing out on the Europa League or Champions League competitions, the comfortable satisfaction standard provides sufficient safeguard to the football clubs. The comfortable satisfaction fits better disciplinary proceedings, where the burden of proof must be proportionate to the sanction imposed. At this point, however, a paradox emerges. Taking into consideration the CAS declaration in the Eskişehirspor case of the administrative character of the ineligibility measure under Article 2.08 UEL Regulations, it comes as a surprise that the CAS applies a standard of proof, which in principle is linked to disciplinary proceedings. This transposition can be explained by the fact that, according to the CAS, the UEFA DR still apply in procedural matters. However, the author of this commentary is of the opinion that the CAS falls prey to a contradiction. Having identified the enforcement of Article 2.08 as administrative, the CAS distinguished between substance and procedure in a controversial way, by applying to the later the comfortable satisfaction standard usually used in the framework of disciplinary proceedings. This blurs again the line between administrative and disciplinary measures, and raises the question whether the CAS can cherry pick procedural elements from disciplinary proceedings. More importantly, the Eskişehirspor assessment seems to undermine the ratio itself of the distinction between administrative and disciplinary measures and the qualification of article 2.08 as administrative. As the Fenerbahçe panel remarked, the bifurcation of the proceedings regarding the administrative measure and the proceedings in respect of the disciplinary measure can be justified by the necessity of having to act quickly in respect of the administrative measure in order to protect the integrity of the competition, while the imposition of the final and appropriate disciplinary measure might require a more comprehensive evaluation of the case. In this sense, due to the urgency of rendering a club ineligible as a result of its involvement in match-fixing, a lower standard than the comfortable satisfaction could be tolerated, namely the standard of balance of probability. It seems, therefore, that in the match-fixing framework the CAS is called to reconcile two contradictory but equally overriding aims: the due process concerns generally embraced by the CAS and the fundamentality of the fight against match-fixing in the eyes of UEFA. In the Eskişehirspor case, and in previous match-fixing cases, the CAS opted for a standard of proof in line with the intensity of the administrative measure adopted, a standard that safeguards the due process rights of a club to the detriment of systematic coherency. 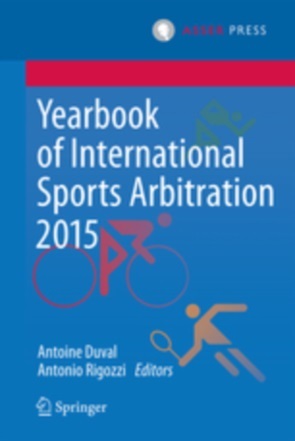 With regard to the evidentiary measures in match-fixing proceedings, it is well-established jurisprudence that sports federations and arbitral tribunals enjoy considerable discretion and are not necessarily barred from taking into account evidence, which may not be admissible in civil or criminal state courts. In the Turkish match-fixing scandal, two issues have been specifically raised: the reliance of the CAS panel on findings of a state court in match-fixing (1) and the admissibility of the use of wiretaps (2). In both the Fenerbahçe and Besiktas cases, at the time of the CAS proceedings, criminal proceedings were pending before the Turkish Supreme Court. The legal question arising out of these parallel proceedings was whether the CAS panels could rely on the findings of domestic courts. The Fenerbahçe panel took into account that there was no final and binding criminal conviction in domestic courts yet, and, thereby, chose to adopt a slightly independent approach. The panel tried to provide its own evaluation of the facts. However, it concluded that based on the lower standard of comfortable satisfaction the criminal case could be taken into account to corroborate the conclusion reached by UEFA, namely that one of the Fenerbahçe’s officials was suspected of being involved in match-fixing. On the other hand, the Besiktas panel using the Oriekhov case as a point of reference argued that due to the restricted investigative powers of UEFA and the CAS, the panel should be able to rely on domestic courts’ decisions. It noted, however, that the CAS should not blindly rely on a particular national decision, but rather assess and evaluate all the evidence available in the context of its own case. While the two panels justified the use of findings of a state court in a different way, their approach reflects a rather cautious approach of the CAS when extending a criminal conviction to a disciplinary conviction the readiness of the CAS to import evidentiary material from national courts even though it is to do so in a rather cautious manner, weary of the disciplinary nature of the case presented to its jurisdiction. As far as the use of wiretaps is concerned, the Eskişehirspor case is adding to a series of CAS awards allowing wiretaps recordings as an admissible type of evidence. After having conducted the ‘balancing exercise’, which was introduced in the Fusimalohi case and taking into account the limited investigative powers of UEFA, the CAS concluded that the inclusion of evidence unlawfully obtained is outweighed by the interests of UEFA in uncovering the truth in match-fixing cases. In this light, the use of wiretaps should be admissible as the only evidentiary medium susceptible to ascertain the factual truth. The CAS, therefore, confirmed once again its growing concern to support the fight against match-fixing with all the possible evidentiary means available in its legal toolkit. A series of CAS awards over the past years have addressed procedural and substantial matters related to match-fixing cases. Some of the issues discussed above, i.e. the applicable standard of proof and the evidentiary means accessible in match-fixing cases, seem to be solidly established. Two important conclusions can be drawn with regard to CAS jurisprudence procedural matters: firstly, it is unlikely that the CAS would deviate from a standard of proof enshrined expressively in the regulations of sports-governing bodies and secondly, with regard to the admissibility of evidence, future CAS panels are likely to take into account the difficult position of federations when investigating match-fixing offences. There are nevertheless a number of issues still open for discussion. In the Eskişehirspor case the CAS attempted to clarify the legal nature and scope of Article 2.08, drawing a clear line between administrative and disciplinary measures. However, by applying UEFA DR in procedural matters, the CAS maintains alive the uncertainty over the real nature of the ineligibility imposed by Article 2.08: is it an administrative measure or a disciplinary sanction? It seems that the CAS is willing to confer an administrative flavour to the ineligibility measure, but at the same time it attempts to ease the draconian economic consequences of this measure by imposing a relatively strict burden of proof on the shoulder of UEFA. After all, and despite the CAS’s willingness to effectively support the fight against match-fixing, it seems that - for the moment at least - the CAS is not willing to adopt a Machiavellian ‘the end justifies the mean’ approach, namely an approach where due process concerns would come entirely short. F Rodriguez, ‘ICCA 2014. Standard of Proof: A plea for Precision or an Unnecessary Remedy?’ (http://kluwerarbitrationblog.com/blog/2014/04/10/icca-2014-standard-of-proof-a-plea-for-precision-or-an-unnecessary-remedy/). E Barak and D Koolaard, ‘Match-fixing. The aftermath of Pobeda-what have the past four years brought us?’ 18 (http://www.tas-cas.org/d2wfiles/document/5890/5048/0/Bulletin202014-120final.pdf). A Rigozzi and B Quinn, ‘Evidentiary Issues before CAS’ (http://papers.ssrn.com/sol3/papers.cfm?abstract_id=2438570), 24. CAS 2009/A/1920, FK Pobeda, Aleksandar Zabrcanec, Nicolce Zdraveski v UEFA. CAS 2010/A/2172, Oleg Oriekhov v UEFA. CAS 2010/A/2267-2281, Football Club “Metalist” et al. v. FFU. CAS 2013/A/3256, Fenerbahçe Spor Kubülü v UEFA, para 123. CAS 2004/A/607, B. v. International Weightlifting Federation (IWF), para 34. CAS 2011/A/2425, Ahongalu Fusimalohi v FIFA, para 79. CAS 2013/A/3256 (n 8), para 543-544. CAS 2011/A/2425 (10), para 80. On 13 September 2017, the Session of the International Olympic Committee (IOC) held in Lima, Peru, elected Paris and Los Angeles as host cities of the 2024 and 2028 Olympic Games respectively. On this occasion, the IOC President Thomas Bach said that ''this historic double allocation is a 'win-win-win' situation for the city of Paris, the city of Los Angeles and the IOC''. The idea of a tripartite agreement whereby two editions of the Olympic Games would be awarded at the same time was presented by a working group of the IOC Vice-Presidents established in March 2017. Both Paris and Los Angeles have pledged to make the Olympic Games cost-efficient, in particular through the use of a record-breaking number of existing and temporary facilities. In addition to economic aspects, it will be worthwhile to keep an eye on how both cities will address human rights and other similar concerns that may arise in the run-up to the Olympic Games. On 13 September 2017, Miguel Maduro, a former Chair of the FIFA Governance Committee who was summarily dismissed in May 2017, appeared in the UK House of Commons to give testimony on the undue influence that FIFA's President Gianni Infantino allegedly exerted over the work of the Governance Committee. Most importantly, Maduro claimed that Infantino attempted to interfere with the Governance Committee's decision to bar Vitaly Mutko, a Deputy Prime Minister of Russia, from sitting on the FIFA Council. The former Chair of the Governance Committee commented that Infantino ''chose to politically survive'' and carried on to assert that FIFA has a ''deeply embedded structure that is extremely resistant to independent scrutiny, transparency and accountability''. FIFA denied Maduro's accusations, stating that ''exchanges between the administration and FIFA's committees […] are logical and even desirable, so for these exchanges to be portrayed as undue influence is factually incorrect''. In its press release of 28 September 2017, the CAS communicated that it had delivered an award in the dispute between the Jersey Football Association (JFA) and UEFA which emerged from the JFA's application for UEFA membership submitted in December 2015. The CAS set aside the decision rendered by the UEFA Executive Committee on 1 September 2016 in which the JFA's application for UEFA membership was rejected, and ordered that the respective application be forwarded to the UEFA Congress for consideration. In view of the CAS, it is the UEFA Congress and not the UEFA Executive Committee that is competent to consider membership applications. It should be stressed, however, that the CAS dismissed the JFA's request to ''take all necessary measures to admit the JFA as a full member of UEFA without delay'', noting that the UEFA Congress has discretionary powers to admit new members. In this regard, the CAS further held that, on the basis of the evidence provided, it appeared that the JFA did not satisfy the requirements for UEFA membership laid down in Article 5(1) of the UEFA Statutes. Antoine Duval and Oskar van Maren The Labour Status of Professional Football Players in the European Union: Unity in/and/or Diversity? Tomáš Grell FIFA's Human Rights Agenda: Is the Game Beautiful Again? Tim Meakin, Tim Walker and Richard Davies Confidential data leaks: What are the vicarious liability risks for sports organizations? John Mehrzad Who has jurisdiction over international football transfer disputes?